Collaborations can make the impossible possible. When different people with different skill sets come together with a common goal, they can make history. Looking to the future of rail information there are several angles to consider; firstly, the passenger. After what has arguably been one of the worst years in living memory for many rail passengers in terms of reliability, it’s clear to see that passengers need a full and comprehensive source of information for their end to end journey. Yes, delays happen, and they’re often unpredictable or even uncontrollable (the weather has a lot to answer for), but if passengers are fully informed of delays and cancellations in honest, real-time, they can plot an alternative route where possible, or call ahead to reschedule their meeting. Passengers are acutely aware of when they are being forgotten and appreciate when the rail industry is mindful, and indeed respectful, of their needs. They know when an honest effort has been made to ensure a better-informed journey. Train Operating Companies (TOCs) must also be considered; they are under increasing pressure to improve services, often without sufficient resources or without the reassurance that they will still have the franchise long enough to get a return on any investment. Legacy fleets can pose another challenge; will older systems “talk” to the new ones? Train builders face equal challenges, balancing the logistics of designing a train with an information system which may be outdated by the time the train is built – after all, trains weren’t build in a day. KeTech can’t build trains any quicker, can’t control the weather, and with no influence over how long a franchise is held, they can’t eliminate any of the initial problems. But what they can do, is design a solution. KeTech has a long history, and deep-rooted foundation of collaboration; listening to what passengers want, understanding what TOC’s need, and facilitating what Train Builders require. Collaborating from start to finish with customers and suppliers is the basis of KeTech’s reputation. Really understanding the end goal AND all the obstacles that lie in the way of reaching it. With this approach, KeTech applies its wealth of knowledge and expertise to create genuinely bespoke solutions. 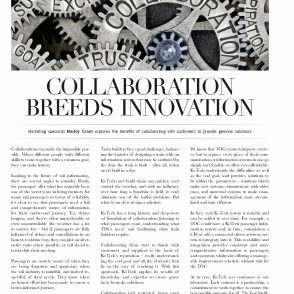 Collaboration isn’t restricted; being open to learn from, and integrate with other systems is one of the things that makes KeTech unique. 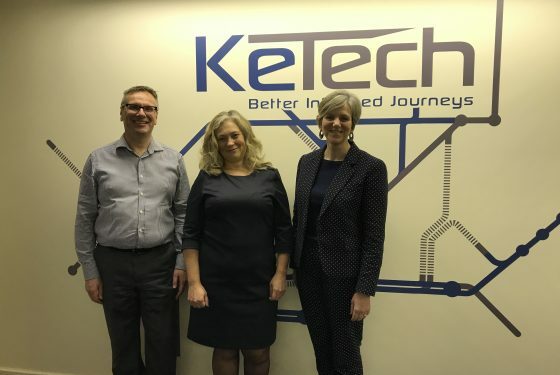 Having established working relationships with other industry providers means that KeTech is well placed to engage in collaborative innovation and confirm its position as an advocate of intelligence within the rail industry. 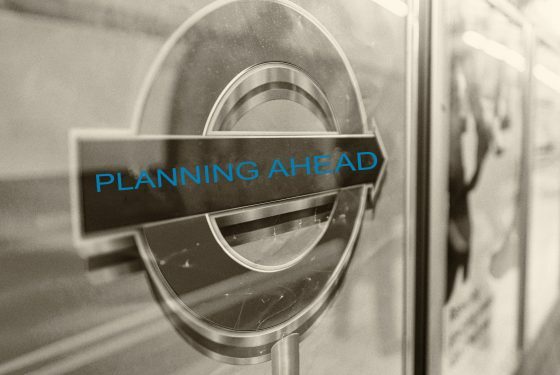 We know that TOCs want to improve services, but to replace every piece of their communication or information systems in one go simply isn’t feasible or often affordable. KeTech understands the difficulties as well as the end-goal and provides solutions to fit within the parameters. Solutions which make new systems communicate with older ones and universal systems to make management of the information more streamlined and time efficient. In fact, each KeTech system is scalable and can be added to over time. For example, a TOC could have a KeTech Passenger Information System and, in time, commission a CIS or add a C-DAS (Connected Driver Advisory System) to integrate into it. This scalability and integration provides consistent and more comprehensive information to passengers and operators whilst also offering a manageable improvement schedule without risk for the TOC. At its core, KeTech sees customers as collaborators. 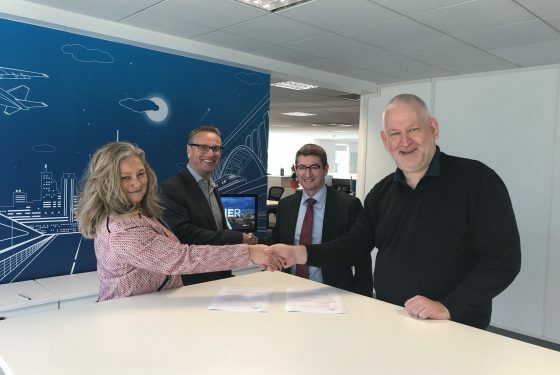 Each contract is a partnership; a commitment to work together to ensure the best possible outcome for all. The best, intelligent technology, the most accurate, real-time information, the most informed journeys for operators, drivers and passengers.